Beautiful photo frame depicting Ram Darbar. The picture shows Shri Ram, Sita, Lakshman and Hanuman. The frame is glossy cream color. Use it as home decor or as a traditional gift for wedding or housewarming. The frame measures - 12.5" in height and 8.5" in width. Buy Shree Ramji Darbar Photo Frame, sold & shipped by Yaadein where you can shop online for Pooja Samagri, Hindu Statues, Puja Items, Religious Gifts & Home Decor. 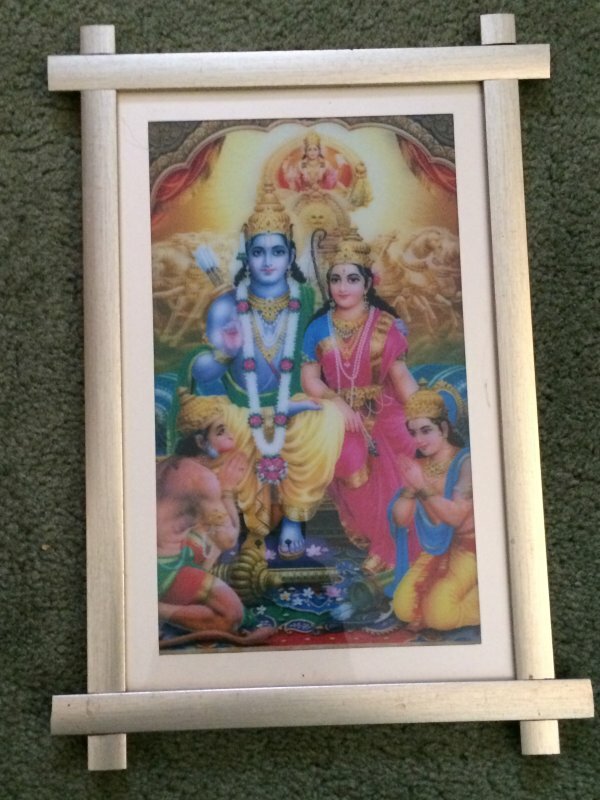 This Idols & Statues collection has been tagged as Ram Darbar Statue, Gold Hindu God Rama Photo Frame, Home Decor, 3d Picture, Artwork, Handicraft, Diwali Wedding Housewarming Gift, Wall Hanging.